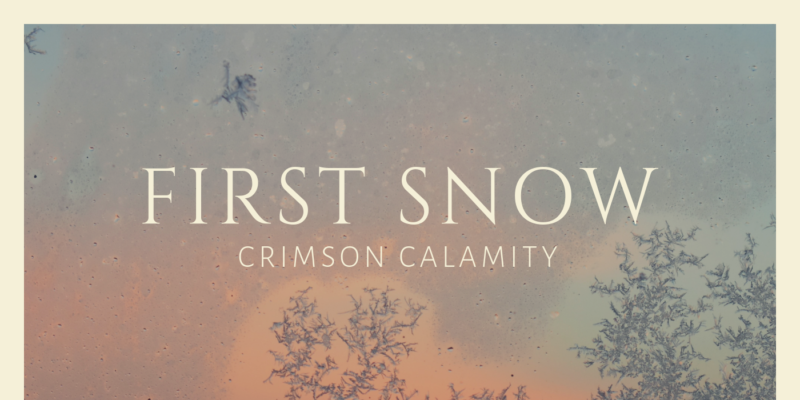 Crimson Calamity paint a crystal clear series of scenes and offer unexpected poetic depth on this original seasonal song First Snow. The duo begin the journey with a pureness in vocal delivery, lightly guided by a few simple piano chords. Their voices back and forth to lay out the details, then their harmonies reinforce the emotion and softness of the writing in a subtle but beautiful manner. Things continue to build gently from here on in, the meandering melody and the various ideas being the driving force of the whole experience. While there are many familiar references that feel fit for a song of this nature, there’s also much being said that seems far more thoughtful and considerate on a deeper, perhaps more meaningful level. With the frost there comes a feeling – That death will bring new life. The second half or the second verse of the song deals more with the personal touch, literal memories are offered by means of a slightly more powerful pair of vocal performances. After this, the song gets notably more rhythmic, strings come into play, and when the hook returns – there’s familiarity now; there’s comfort in knowing this resolve and this moment within the song. The warmth of the experience grows and when the instrumental break hits this energy peaks. The final moments see a return to the quiet whispers that first introduced the song. There’s a wonderfully original aura to First Snow, it didn’t distinctively remind me of anything at all – it seems totally new, unique in its melodic structure, in its conceptual presentation, and in the strength of the vocals working together as a duo. Crimson Calamity have a certain something about their style and their sound that really stands out right now. 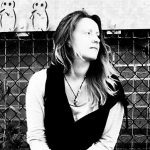 Find & follow Crimson Calamity on Facebook, Twitter & Instagram or visit their Website.